B.B. Blunder promo shot for Worker’s Playtime, with the inimitable Julie Driscoll disguised as Comely Barmaid. As promised a few days ago after running Blossom Toes, here is the next logical step – B.B. Blunder came about as Blossom Toes ceased to exist. Together for what seemed like ten minutes, the band actually were together a bit longer, enough time to make the classic (and completely underrated/overlooked Worker’s Playtime), provide backup for a solo effort by Reg King who also briefly joined the band and then drifted back into neglect. 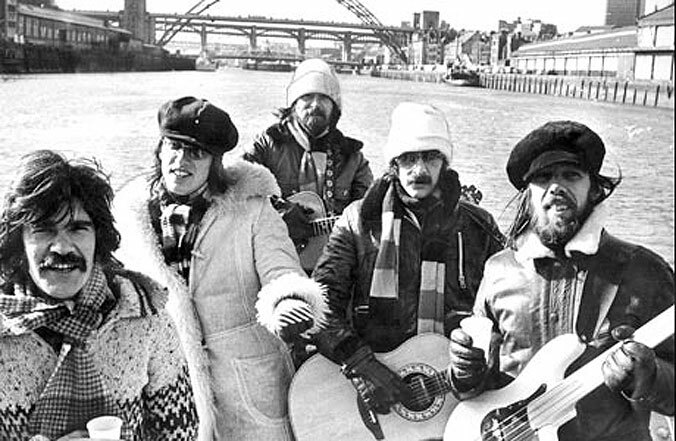 Worker’s Playtime was issued in the States, on the Polydor label, which may have explained why they were overlooked. Polydor was just getting it’s act together in the U.S. and not having an easy go of it in 1971. For some reason, United Artists (the label they were on in the UK) passed on the option to release them in the U.S., which probably compounded the lack of enthusiasm for what was otherwise a great debut album. But as I’ve said countless times before; it’s almost impossible to predict what people will respond to and whey they won’t respond to where the subject of Pop Music is concerned. Bands you were dead-certain would make it massively came and went almost totally unnoticed. At any rate – here is one of the rare appearances B.B. Blunder made via The BBC’s Top Of The Pops. Just two numbers, but enough to make you wonder why they weren’t a huge success in 1970. One more band to wonder about. Van der Graaf Generator – much to their amazement, one of the most influential bands of the early 70’s. 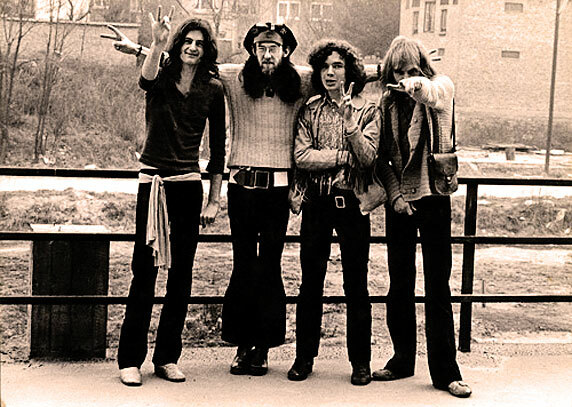 One of the most influential bands of the early 70’s Progressive Movement was Van der Graaf Generator. Virtually unknown in the U.S., save for pockets of intense collectors scattered around the country, Van der Graaf were biggest in Europe and huge in Italy, where they toured often and where a whole generation of Italian bands sprang up, seemingly overnight, because of them. Tonight it’s one of their sessions for the BBC. Recorded on January 27, 1970. Still cited by a number of present-day bands as a source of influence, Van der Graaf pioneered a sound and managed to achieve a permanent level of freshness and intensity in the process. They really haven’t aged a bit. Belle & Sebastian – Wildly popular Indie/Alternative band throughout the rest of the world, but not so in the U.S. – go figure. Belle & Sebastian tonight. From a session recorded at “Peel Acres” for John Peel’s BBC Radio program on July 25, 2002. 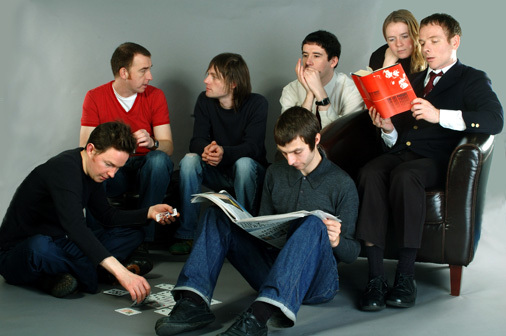 For some reason, Belle & Sebastian haven’t established a large fan-base here in the U.S. – after numerous albums and singles, all released to critical acclaim by the Press, Belle & Sebastian are still having a hard time making in-roads. But if you aren’t familiar with them, here’s a great place to start. The Danse Society – . . .and then there was Post-Punk. Diving into some Post-Punk tonight by way of The Danse Society, recorded for John Peel at BBC Radio 1 on November 21, 1981. After Punk came a catch-all sub-genre known as Post-Punk. More experimental and less high-voltage. In the case of Danse Society, it didn’t last very long. 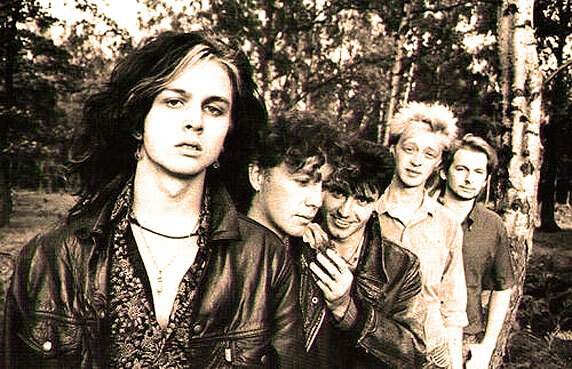 After gaining some following and releasing a few singles and ep’s, they disbanded in 1986 and went separate ways until they temporarily re-formed in 2011. Post-Punk eventually gave way to a pile of other sub-genres – New Romantic, New Wave, Indie, Shoegaze and Experimental. Danse Society didn’t really fit in any of them and much of their notoriety was confined to the UK and parts of Europe. But that doesn’t mean you don’t get to hear what you might have missed.